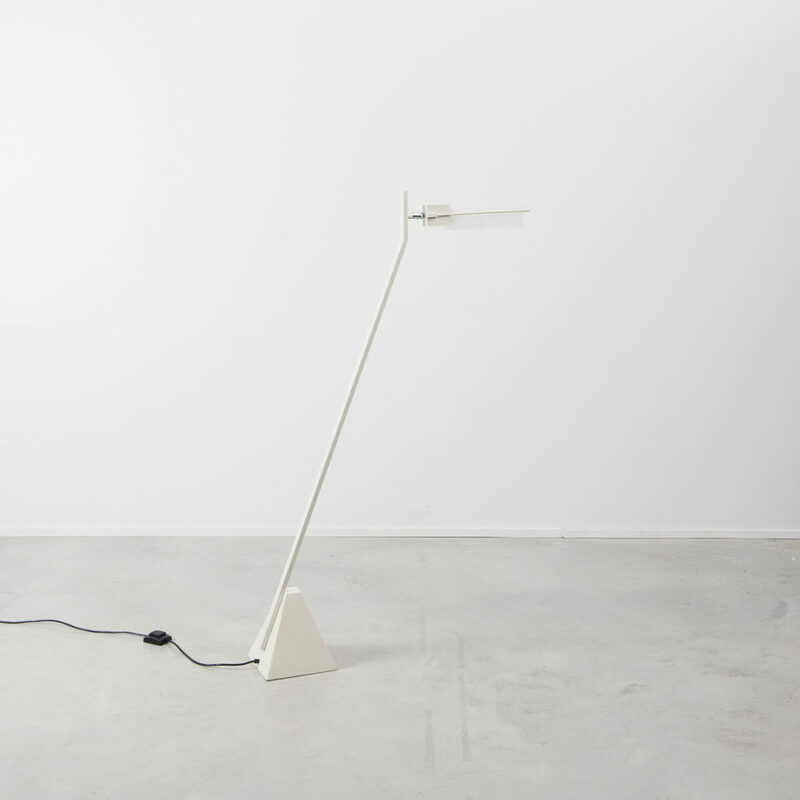 A highly unusual and beautifully proportioned floor lamp. 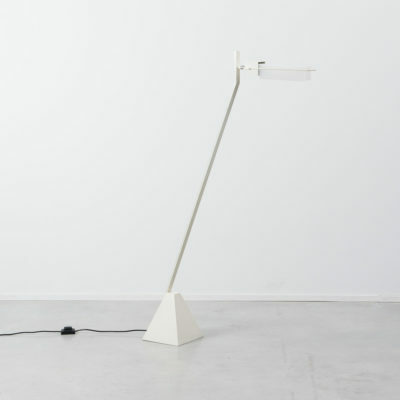 The Memphis influence and patina suggest that it is an early eighties production and was sourced in Holland. 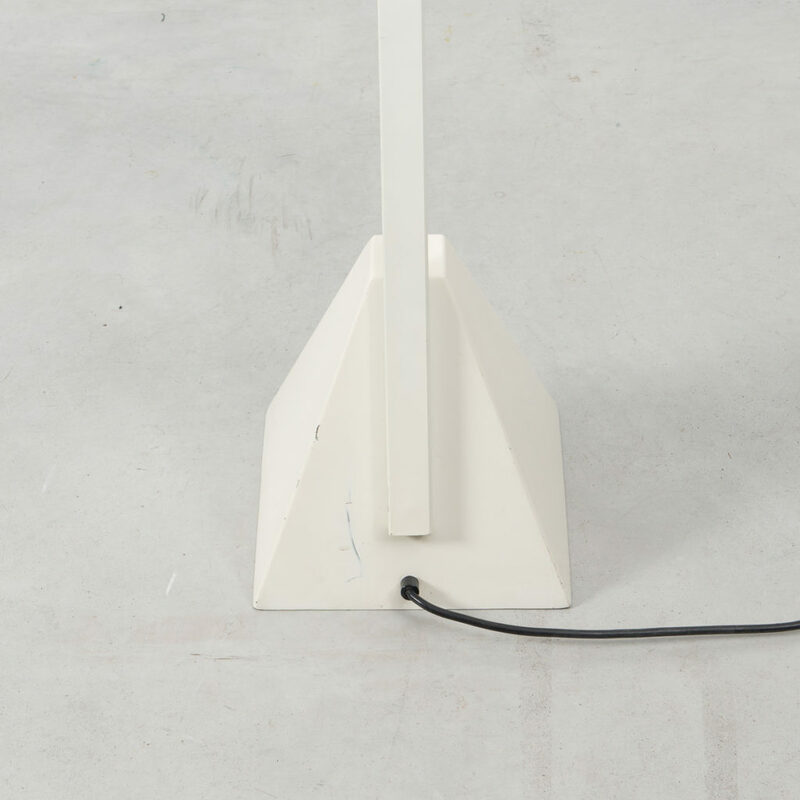 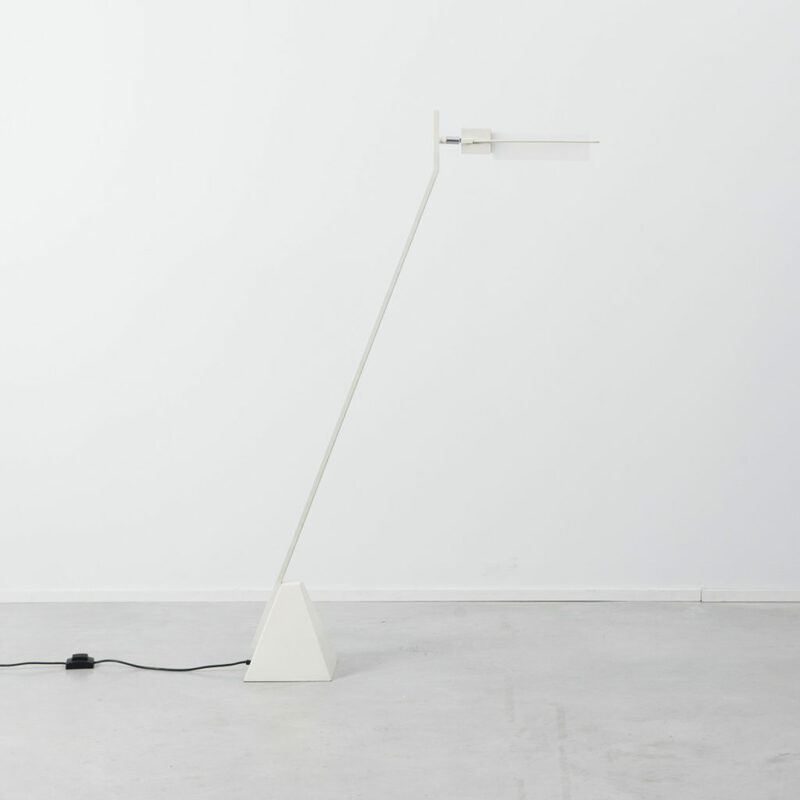 The heavy base allows the lamp to lean forward on a sharp angle. 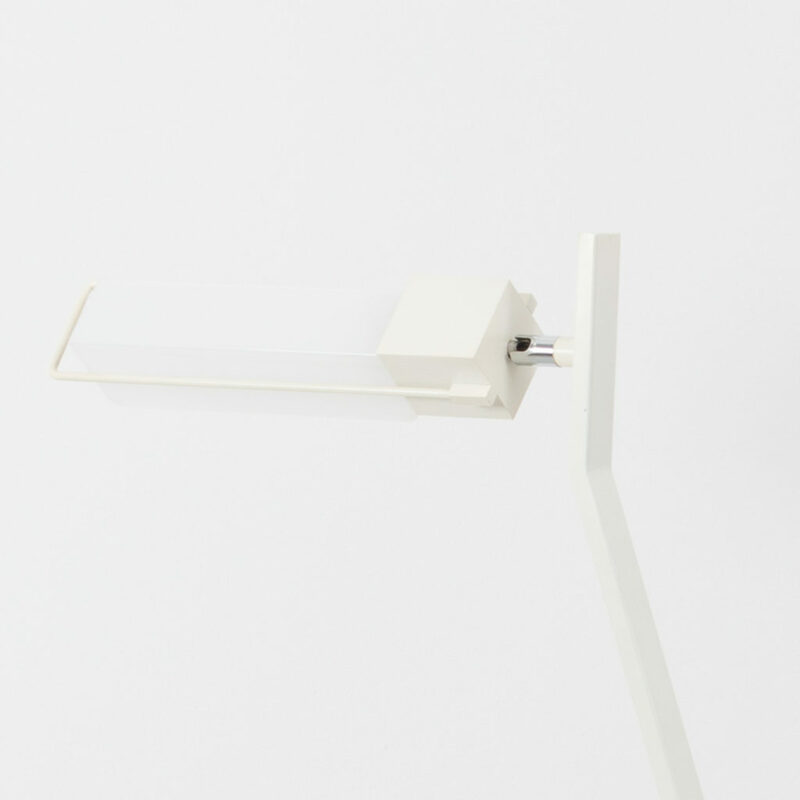 Predominantly constructed from folded metal a Perspex visor diffuses the light from the fluorescent bulb. 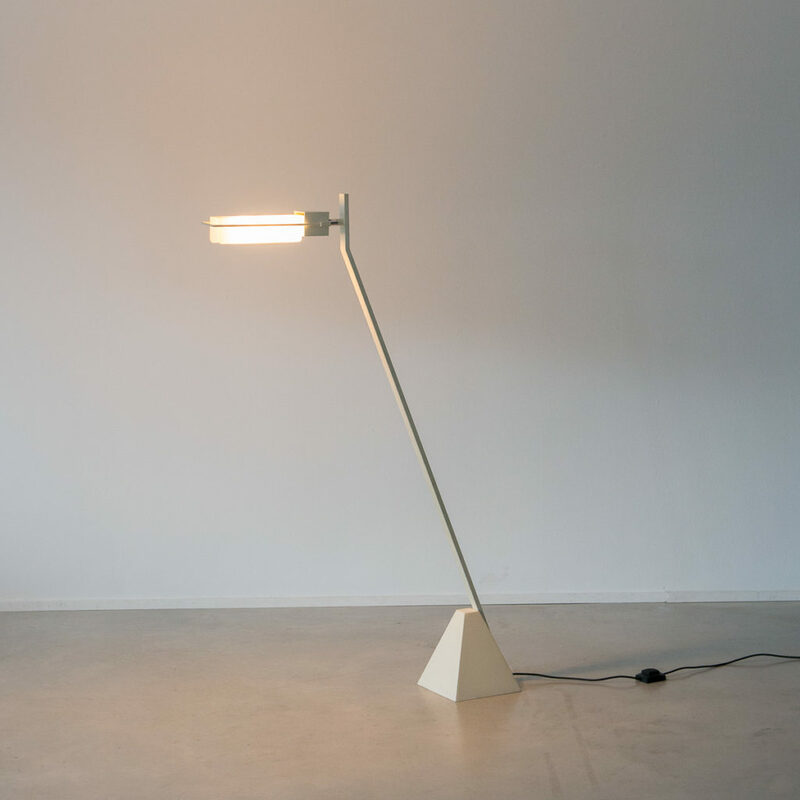 This striking and unique piece is in great condition other than a few usage marks and a couple of noticeable scratches to the rear of the base.